Most people who know me in real life have heard me talk at one time or another about my favorite toys (Discovery Toys), my favorite coffee maker (Keurig) and my favorite computer (my iMac). That’s because when I love a product, I can’t help but tell everyone about it. So, it seems interesting to me that the latest trend in marketing focuses on paying people to tell others about products or services. I have started using three web sites lately that use this type of marketing, and so far, I’m a fan. In fact, I would want to tell people about them even if I DIDN’T get anything in return. The first one is alice.com. If you’ve ever watched The Brady Bunch, I’m sure you’ve wished you had your own Alice to take care of everything around the house. With six people in our family, I need an Alice just to help me push my shopping cart through the grocery store. I usually have to get that mongo cart with the park bench at the back. I put two kids on the bench, another one in the baby carrier in the cart and I often have another one hanging off the side pretending he’s a firefighter. I just used her for the first time, and I liked the fact that she reminded me of all the possible things I might need. I could compare prices and brands easily, and she even included coupons for some of my purchases. She remembers what I ordered and will remind me when she thinks I’m about to run out of garbage bags or anything else on my list. And shipping is always free, so I don’t have to worry about toting all that stuff out to my car. It will just show up on my door step in two days. I’ve also been using diapers.com since Baby #4 was born. 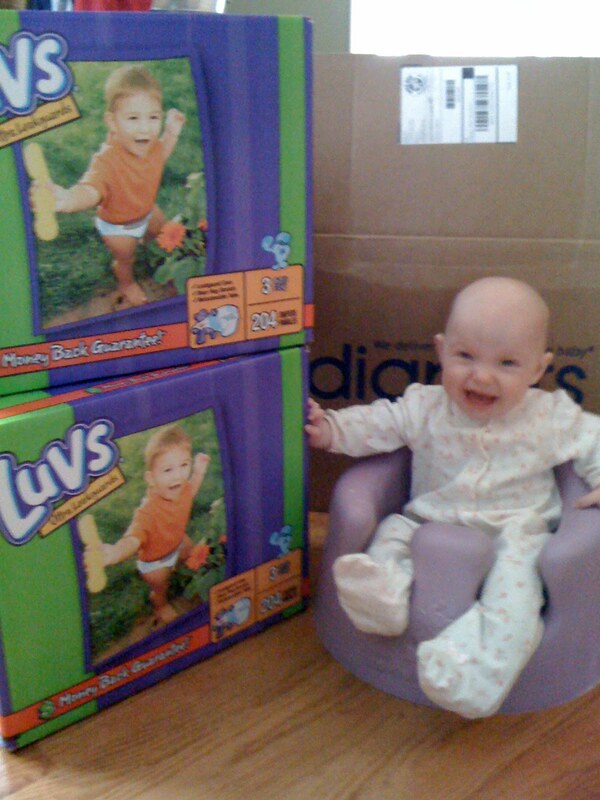 I like diapers.com because I can buy the super deluxe, humongous box of diapers, which gives me the best price. I usually can’t find the really big boxes in the grocery store. The price is comparable to shopping at a large warehouse store, like Sam’s or Costco. However, you SAVE even more money when you use a referral code. Another blogger wrote a post about how she earned so many swagbucks, she was able to pay for all of her Christmas shopping with the money she earned. I was curious, but I didn’t feel like looking into it. This week, she posted that she had earned enough swagbucks to buy her family a brand new iMac! OK… it couldn’t hurt to give it a try! So… what do you think? Have you earned money this way? Do you like this type of marketing or does it bother you? Oops, used the wrong account to comment from…but I trust you knew it was me!